Does Your Online Business Reputation Look Too Good to be True? Are all of your reviews one-sided? A business with hundreds of 5-star reviews just looks too good to be true and any potential customer looking at your reviews will scour for the bad ones. The assumption now is that you’re hiding the negative reviews and/or you have faked the good ones. This leads the customer to believe that there may be other negative reviews they’re not seeing, placing distrust in your business. 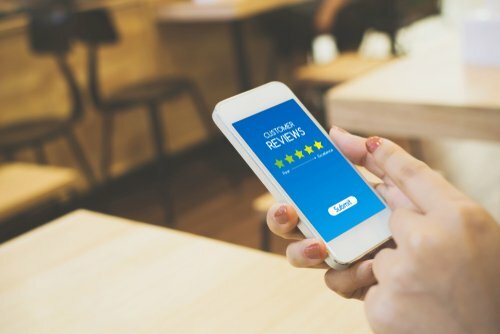 If all of your reviews seem to rave about how great your business is, the amazing quality of product or service, and how awesome of an experience they had with your staff, and then there is that one pesky negative review buried so far down your profile, this may affect your potential consumer’s perception of your brand. Let’s face it: Not all of your online reviews are going to reflect a positive light on your business. But there are ways you can handle maintaining credibility with a good reputation management system. Trust is a deciding factor for many consumers who are on the fence about purchasing your product or service. The quality of your service or product, along with your customer service will establish and maintain your brand. Many business owners will worry themselves that one negative review from a disgruntled customer will ruin their company’s reputation and could cause loss of business. While you don’t want that negative review featured on your Google My Business profile, one negative review won’t outshine your 10 reviews that reflect an overall positive experience and happy customer. Every business will receive more than one bad review, but removing negative reviews and not responding to them may do more harm than good. When it comes down to monitoring negative reviews, be sure to resolve the issue quickly and efficiently, with the hopes that the unhappy customer may remove their review, return to your business. Set Alerts For Your Business: You can use reputation management tools and alert platforms to stay on top of reviews posted across various platforms. Respond Quickly: Don’t delay responding to reviews. Respond to review within three days of posting, and try to resolve the issue quickly. Ask for Reviews: You don’t want to solicit reviews, but if you know a customer had a great experience, ask them to write a review! Don’t take it Personal: Use the negative feedback to identify areas of improvement and how to create better customer experiences.